Officials from the Manasquan Reservoir advised people on Tuesday to avoid eating fish from its waters and it's all thanks to the presence of a toxic algae bloom. Commonly known as "blue-green algae," a Facebook post from the reservoir said that tests from New Jersey Department of Environmental Protection detected Cyanobacterial Harmful Algal Blooms in the reservoir. The plant produces toxins dangerous to both people and animals. The presence of HABs happens most regularly in late-summer or early fall, according to the NJDEP. The reservoir is a popular spot for its hiking and biking trails, and while there's no timeline on when the water will be safe again, officials say the toxic blooms can be spotted by their bluish-greenish appearance on the water's surface or giving the appearance of wet paint. What about those green splotches in the Schuylkill River? Experts say there's no reason to worry. 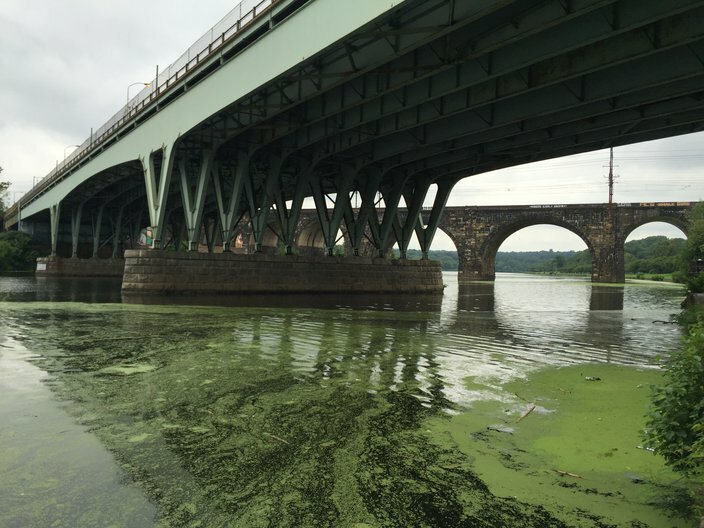 Large patches of duckweed, a harmless, free-floating aquatic plant typically found in low-flow or stagnant water conditions, appeared throughout the Schuylkill River following heavy rainfall throughout the region. The Philadelphia Water Department said those massive patches are duckweed, a plant that grows when water is stagnant or low-flowing. "Duckweed is naturally occurring and can be found in healthy water bodies around the country," PWD spokesperson Laura Copeland told PhillyVoice in August. "It is not indicative of elevated chemicals or water-quality concerns and is more synonymous with low-flow conditions providing areas of habitat for this species to persist. Despite being churned up by the recent heavy rainfall, the Schuylkill River is, indeed, healthy." This story was updated after a conversation with a spokesperson from the New Jersey Department of Environmental Protection who said there was no official warning issued, but an advisory that came from the Manasquan Reservoir.